Ivory tulle and lace bridal gown with full A-line skirt. 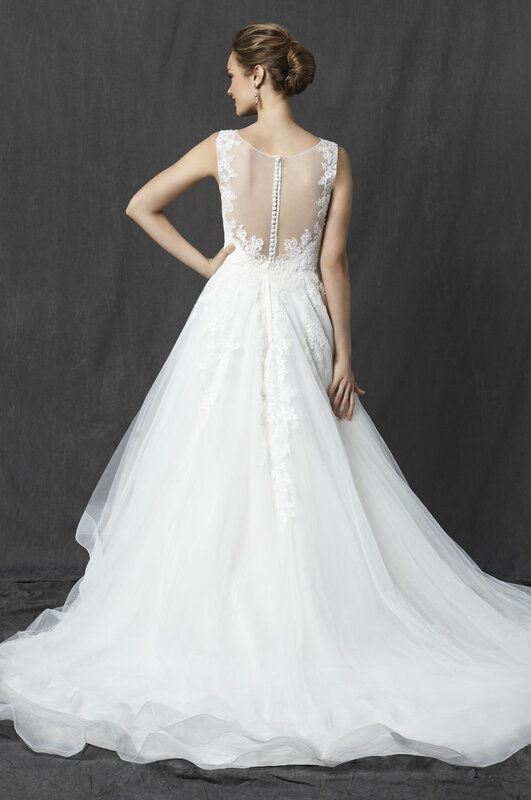 Bateau illusion neckline and back with button details. Skirt has tiered layers of horsehair trim. Also available in Ivory with Champagne lining.